Kuuu’s Magic Wand Mod allows you to make a bed with your magic wand and cobblestone by adding two types of wand: magic wand, super wand. Now you don’t have to worry if you are in the desert, it is night now, there’re a lot of monsters, you have got food and some cobblestone. Super wand is very expensive, but more useful, than magic wand. Magic Wand + Wheat + Wheat = Bread. Then, craft Magic Wand: Magic Crystal at the top right corner, sticks in the middle and at the left bottom corner. 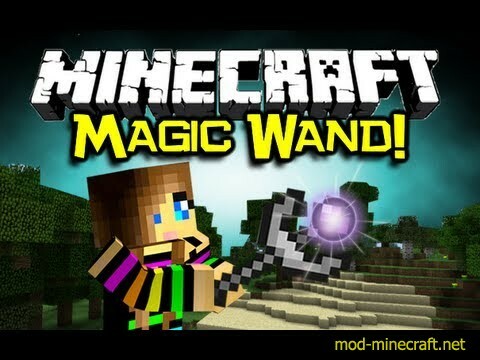 Super wand is crafting the same way, but you need a nether star instead of magic crystal!